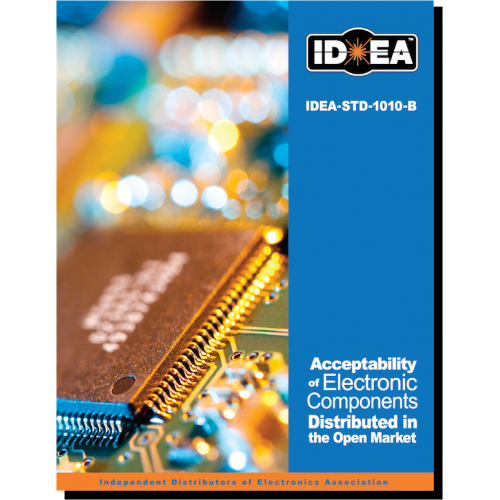 IDEA-STD-1010: Acceptability of Electronic Components Distributed in the Open Market is the first and leading quality standard for the visual inspection of electronic components and was designed as a technical resource to serve the electronic component industry regarding the detection of substandard and counterfeit components. Click here to view the IDEA-STD-1010-B Table of Contents. IDEA-STD-1010 is available in both hard copy and electronic formats. 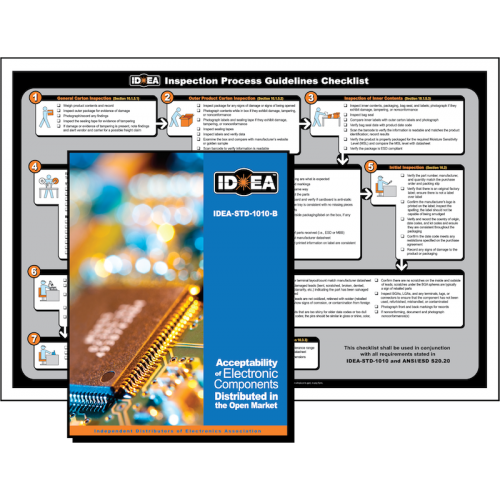 Convenient product bundles are also available that include the hard copy of the Standard and the IDEA-STD-1010 Inspection Guidelines Process Checklist poster. The poster contains the complete checklist that appears in IDEA-STD-1010 in a 2’ x 3’ laminated format that is perfect for posting in inspection areas as a convenient resource during the inspection process.